Jens is the inventor of SlideFab and its software architect. He has worked as manager at an international consultancy firm for several years. Besides, he worked as a freelancing consultant and software developer since early 2000s. 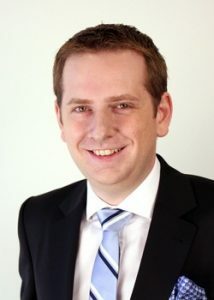 Jens holds a PhD in Machine Learning and an MSc.-equivalent in Computer Sciences and Business Administration from Marburg University, Germany. If you would like to get in touch with me, you can write me an email to info@slidefab.com (e.g. using the form below), call me at +491718386486 or reach out via LinkedIn / Xing / Facebook.